Set on 12-acres of pristine gardens in the world-renowned Mount Buffalo and Bright Region, GG’s By The River offers you luxury accommodation to rest and restore. 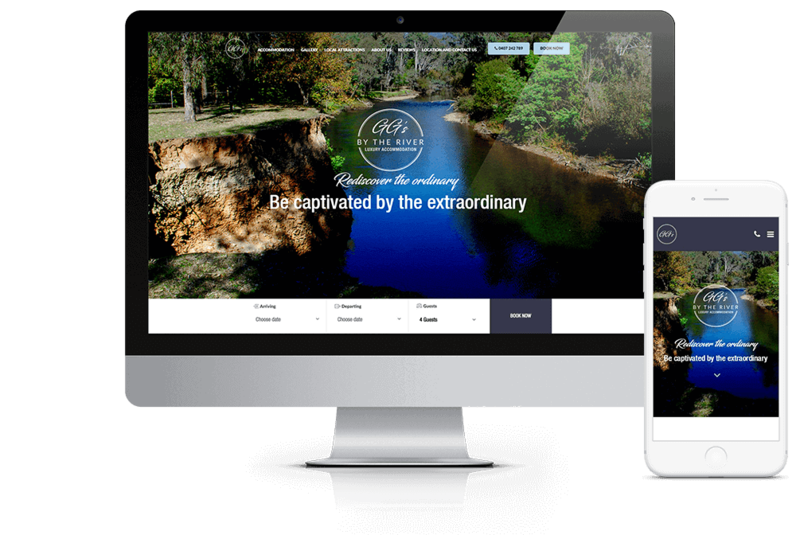 Digital Rescue’s vision for the website redesign of GG’s by the River, was to deliver an engaging and immersive first visitor experience to the website. Special attention was dedicated towards bringing to the fore, campaign imagery that best reflected the tranquil and unique environment of this luxury getaway experience. Investing the time with the client to identify the key customer profiles and audiences, Digital Rescue was able to roll out a distinct visitor journey for each of the GG’s guest profile.